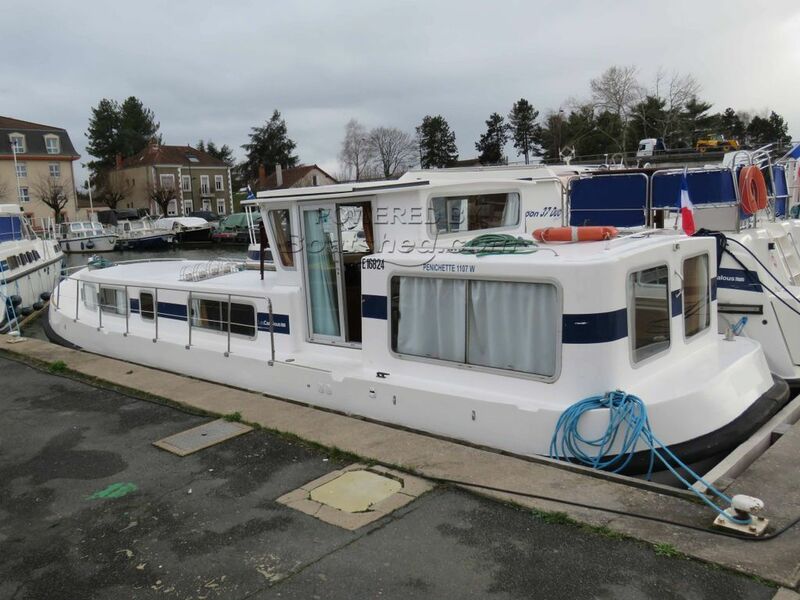 River cruiser for sale in France. Boatshed Bourgogne is pleased to offer this family river cruiser LOCABOAT for sale. This model built in 1986 has left the yard and was part of the hire fleet until now. Regular maintenance and a new engine fitted last year make this river cruiser ideal for a family within a budget less than 40 000 euros. A go everywhere boat, not too many steps, a night area well separated from the daily part of the boat. Great access both side and a good side decks to move around the boat during the manoeuvre. For more information or organise a viewing, please contact, Graham your local broker at Boatshed Bourgogne. This Locaboat 1107 Ex Hire Cruiser has been personally photographed and viewed by magali Wharmby of Boatshed Bourgogne. Click here for contact details.